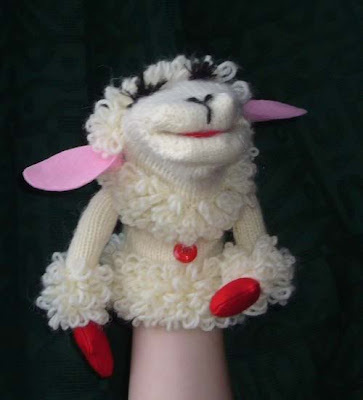 Do you remember Lamb Chop's Play-Along, that awesome children's program with the sock puppet? I loved that show! Lamb Chop was just so cute, haha. I'm not really going anywhere with this. It's just a random memory that was ignited yesterday when we Frenched racks of lamb in class. I know it's a morbid connection, but have you come to expect anything less from me? So, Frenching racks of lamb does not in any way involve making out with them, but instead refers to scraping the meat off the ribs in order to have a much more elegant product. It is a tedious process, especially for someone like myself who had never done it before, but the finished result is really quite nice. Our chef also broke down an entire lamb carcass, which was pretty interesting, and I later helped bone out the shoulder which was difficult and time consuming considering I had no idea what I was doing, but when I finally managed to remove the huge bone, I felt like I had just won an Olympic medal! It was pretty intense. The bone I removed was part of the shoulder blade with a working shoulder joint and part of the upper arm bone, so I was able to use it to "wave" at my classmates (who must all think I'm nuts, haha). Also, today we had the first of four parts to our practical exam, which involved trussing a chicken, then removing the string and breaking down the chicken into parts--wings, legs, and then removing the breasts from the bone. I don't know my official grade, but I think I did pretty well. I feel confident that I can break down many a chicken in my life from this point on. Finally, I have some pretty cool news to share! I would like to point out that Mission: Food has been quoted in a press release for Nature's Pride bread! It's especially exciting since they only chose three blogs to publish quotes from :) I was really thrilled when they asked if they could quote me in their press release, and I love that people in general seem to really enjoy the things I have to share in my blog. I know I don't update as often as some other bloggers do, but I hope that what I have to offer my readers makes visiting my blog worthwhile. Thanks again, everyone! Beef: It's What's For Dinner!